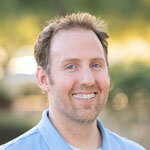 Cameron is a Licensed Associate Marriage and Family Therapist. He earned both his BS in Family and Human Development and Masters of Advanced Studies in Marriage and Family Therapy at Arizona State University, graduating with honors. The ASU MAS-MFT program is rising in notoriety due to excellent instruction by past presidents of the Arizona Association of Marriage and Family Therapists and current members of the Arizona Board of Behavioral Health Examiners. Cameron has 8 years of prior experience working with student aged children/teens and their parents within the public school setting as well as 3 years of clinical work with youth, families, and couples in community behavioral health. Cameron also has a great deal of experience and understanding about the challenges facing families and individuals, such as work; school and financial related stresses, divorce, single parenthood, and raising a child with special needs such as Autism. Cameron has a great love and passion for couples work and is skilled at bridging people with different and/or opposing perspectives. Cameron also has a knack for helping clients find or rediscover positives as well as life’s simple joys to bring about balance, meaning and foster connection. Cameron’s clinical focus is to look for the underlying process of a clients’ distress and to co-create with clients, a treatment plan that utilizes research proven solutions to enact lasting, systemic change. He has received training and practical application in numerous therapeutic approaches such as the Gottman Method for Couples Therapy, Emotion-Focused Therapy, Solution-Focused Therapy, Narrative Therapy, Cognitive-Behavioral Therapy, Structural Family Therapy, Bowenian-Transgenerational Therapy, and Dialectical Behavioral Therapy. His clinical style is client directed, empathetic, encouraging, humorous, guiding and empowering. Cameron’s greatest joy is that of being a father and he greatly values his time with his family. In his spare time, he also enjoys walking his dogs, running, movies, reading, drawing, building, crafting, gardening and baking.